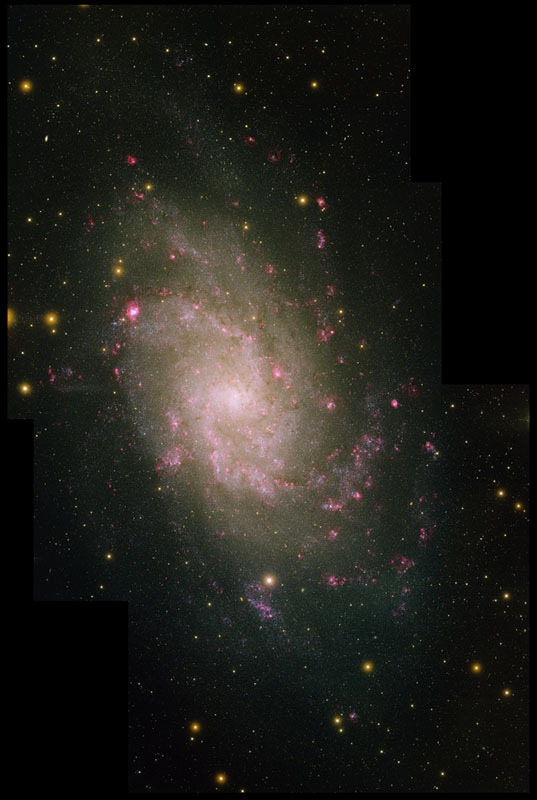 This image was created with data from the Local Group Survey, completed with the Mosaic camera on the Mayall 4-meter telescope at Kitt Peak National Observatory. M31, M33 and our Milky Way are the three largest members of the Local Group of galaxies. 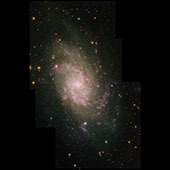 M33 is a spiral galaxy that is about ten times smaller than our own. Three 'pointings' of the camera along the galaxy in five filters were used to make the image. The five filters show the star colors and HII star forming regions in vivid detail.